This was my breakfast yesterday morning. 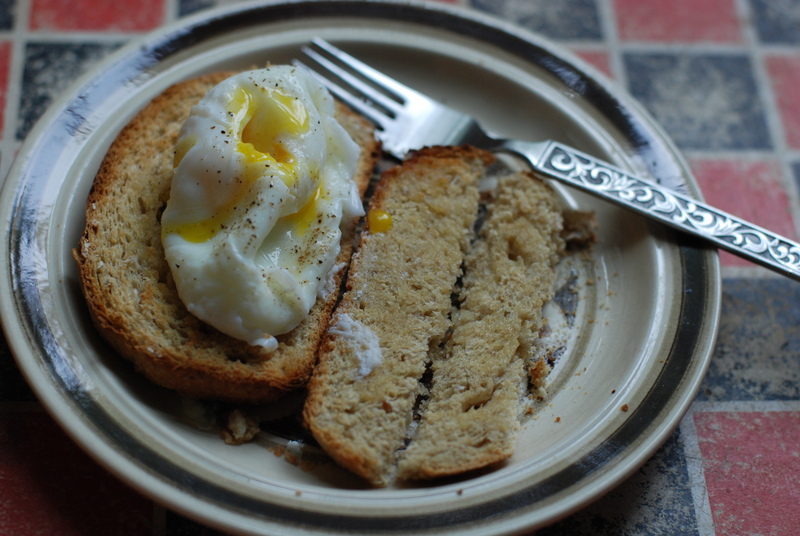 Delicious and simple to make, and I have to say that successfully making a poached egg is so fulfilling. I learned how from the Smitten Kitchen! I like to think that this vintage checkerboard that I always put my food on is just my beautiful countertop.